All of our vendors’ stories resonate with us in wonderful ways but we especially treasure our heritage brands—each with their unique and fascinating histories. Founded in 1949 and still a family operation, we like to think that we, too, fall into this special category. One of our most historic brands is British manufacturer Samuel Heath. The company was founded in 1820 and originally produced fine brass furnishings like beds and fireplace accessories. Today, they’re known primarily for luxury bathroom fittings. 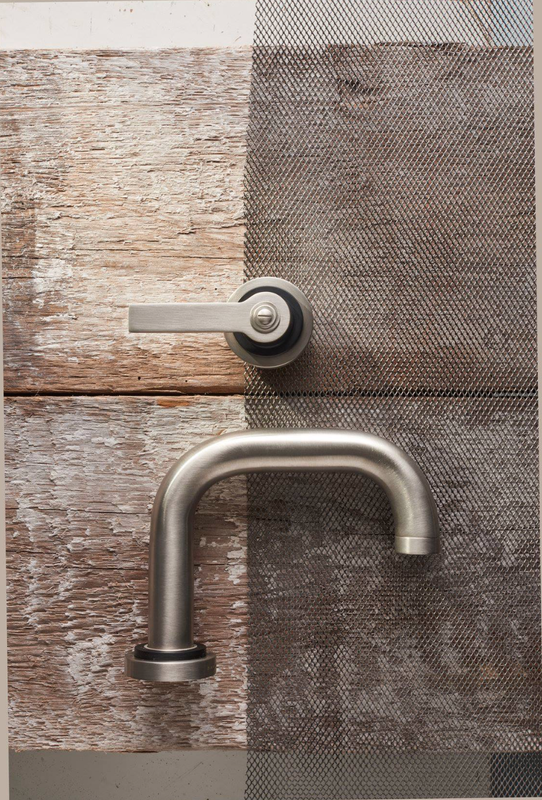 Most recently, they debuted their LMK collection, a line of faucets, shower controls and accessories inspired by the Bauhaus era. Called LMK, the line consists of two collections: LMK Pure is a smooth and minimalist design, while LMK Industrial offers a more mechanical, functionalist aesthetic. Both feature beautiful proportions and distinctive silhouettes that can adapt to homes of any style, and both available in a range of matte and high-gloss finishes, including stainless steel, bronze, chrome and polished nickel. “For architects and interior designers, the copper alloys known collectively as brass, are among the most interesting metals available for the realization of imaginative ideas,” says Lloyd Blewett, who handles public relations for Samuel Heath and also oversees the company’s extensive archive. “This has been the case ever since brass was first manufactured. 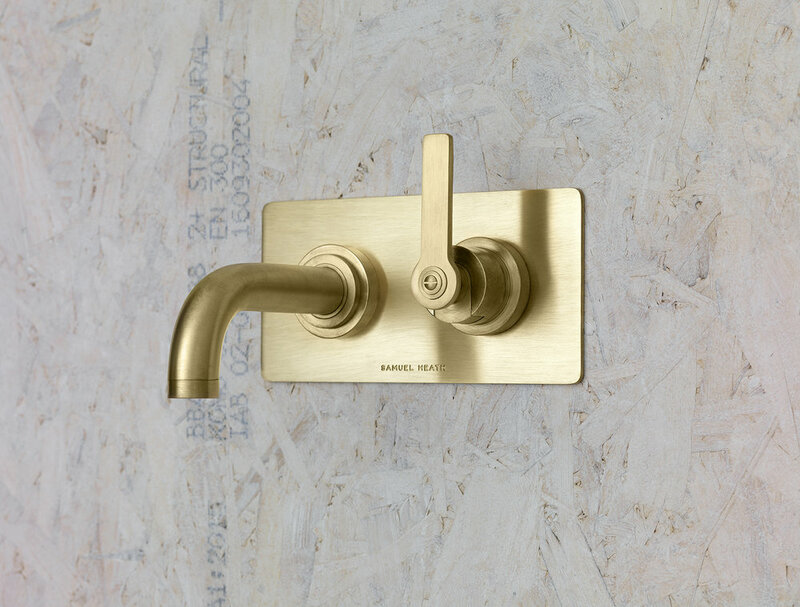 In fact, brass has done more to stimulate the designer in the creation of exciting architectural detailing than almost any other material,” he says, highlighting some of its attributes: superb color and texture; a mirror-like polish; resists corrosion; strength and ductility. 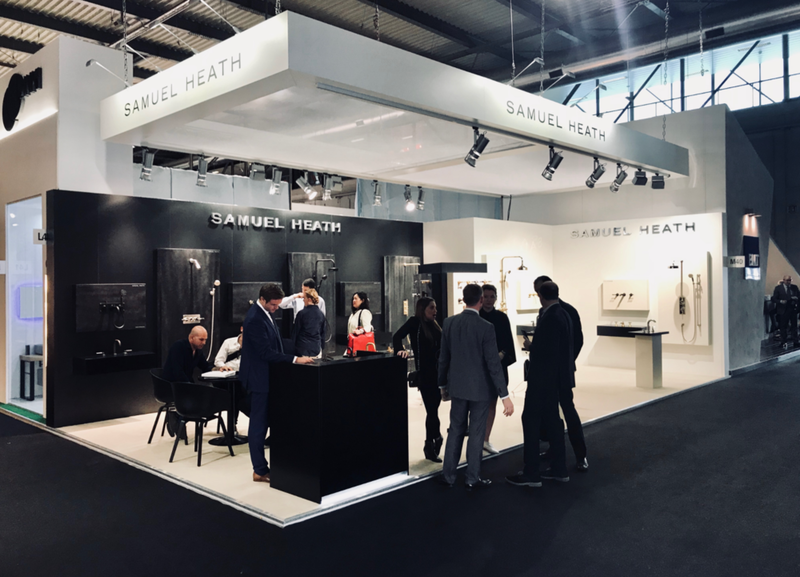 To ensure the quality of its designs, as well as the integrity of its environmental practices, Samuel Heath pieces are produced from start to finish at its factory in Birmingham, England—now with landmark status. “We still train our metal workers in-house, yet many of our craftsman are members of families that have been providing their skills to Samuel Heath for generations,” says Blewett. “We send our UK-made products out to the world from the same manufacturing facility where we’ve operated since around 1850.” It’s that sort of longevity and commitment that we at Snyder Diamond so respect. To learn more about all that Samuel Heath offers, visit any of our showrooms. And following on our tremendous success at Salone del Mobile this year, which included collaborations with Samuel Heath, we're excited to announce that we've already begun preparations for our 2019 trip. Follow us on social media to stay up-to-date on everything we'll be organizing.